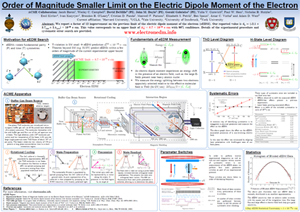 A poster giving a general overview of the experiment, including the apparatus as a whole, the measurement scheme and a brief description of systematics methodology. 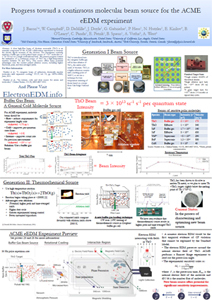 A poster describing in detail the development of the molecular beam source, including details on the current buffer gas source and the development of a thermochemical source for the next generation. 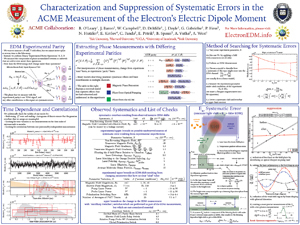 A poster looking in detail at the treatment of our systematic errors, describing how we use parity sums to analyse and identify trends and eliminate unwanted effects. 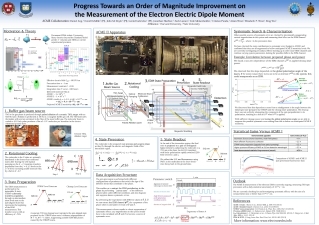 A poster about the demonstrated and planned upgrades to the ACME experiment for its second generation. 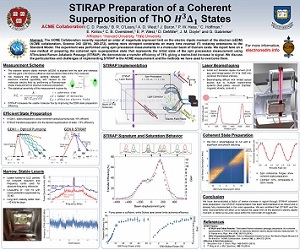 A poster detailing the STIRAP upgrade implemented in the ACME II measurement, which transfers our population from the ground state (X) to the measurement state (H) with 75% efficiency. Progress in ACME II (June 2017). A non-technical overview of the ACME experiment. 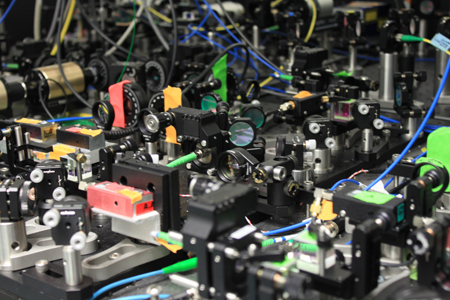 Why are we looking for the electron EDM and what impact our measurement has on our understanding of the universe? How does the EDM relate to dark matter? How can an EDM explain why the universe exists at all? This video describes our work in simple, non-scientific terms. A technical description of the ACME apparatus. 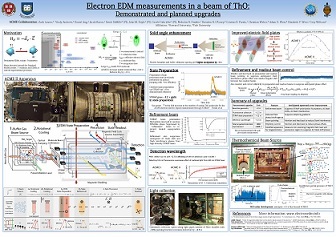 The method for performing our measure is outlined, including how we create a cold beam of Thorium Oxide molecules, how we prepare the molecules into the measurement state and the manner in which the precession measurement is subsequently performed. 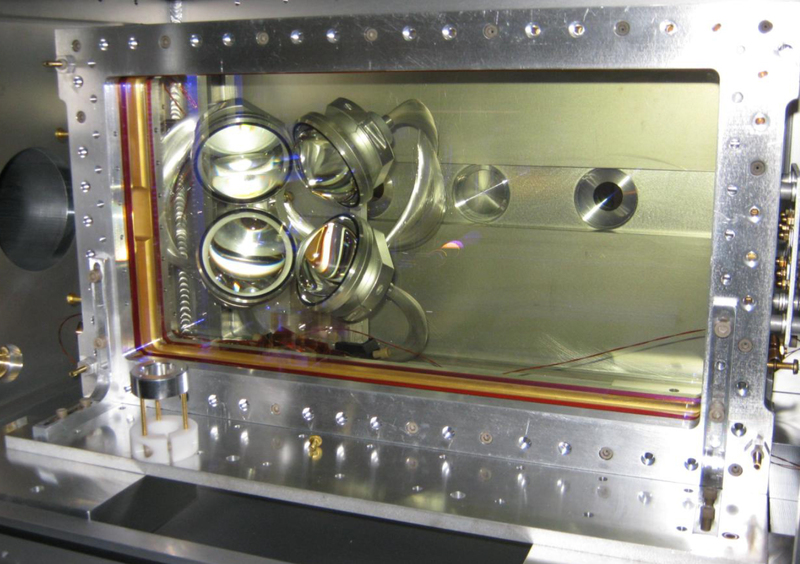 A schematic of the experimental apparatus with ACME II upgrades: shorter beamline, STIRAP state preparation, wider field plates, more efficient light collection.